HOW TO CALCULATE THE PRICE OF A GREENHOUSE? Depending on the climate where the greenhouse will be built, we will study what greenhouse model is the best suited to the climatic conditions of the area. 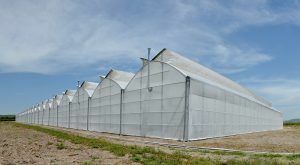 There are several types of greenhouses, in structure and equipment, therefore may be a considerable difference in the price of the greenhouse depending on the structure design and the loads that may support. To prepare a good quotation we need to study the temperature, humidity, wind, snow, solar radiation and other environmental factors. It is essential to indicate the surface and the form that the project is going to have to assess the price of a greenhouse. It’s not the same if the greenhouse has an irregular shape that if it has a regular shape. All details that the customer provides, crop area, location, etc., will be helpful for the study of the project in our Engineering Department. Depending on the product to be grown in the greenhouse, you can change the model of the structure, the distance between crop lines or different special accessories for this type of crop, consequently there will be a difference in the price of the greenhouse. There are crops that have similar production and growth, but other types of crops need a reinforced structure and special equipment. Depending on the technology that we want to install in the project, it will be affected the price of the greenhouse. A greenhouse can be installed with different equipment, such as: ventilation, heating, cooling system, air fog, screen shading, irrigation, hydroponic systems, artificial lighting, carbon dioxide supply, automation, etc. These initial basic characteristics and other data that will be studied for the project, will set the price of the greenhouse. Akinwumi Adesina, who is currently the President of AfDB (African Development Bank) previously served as Nigeria’s Minister of Agriculture and Rural Development believes that farming will soon be producing more millionaires and billionaires than any other sector in Africa. Adesina was named Forbes African of the Year in December 2013 for his reforms to his country’s farming sector, according to a BBC report. And most business leaders across the continent agree with Adesina, that farming could be an under exploited gold mine. Successful businessman, lawyer and parliamentary aspirant Victor Ogeto Swanya, says that “once Kenyans begin embracing modern methods of farming, then they will realize that there is a lot of potential in the field”. Swanya has a number of productive greenhouses at his home in Kisii. His sentiments are shared by Danish whiz-kid Kresten Buch, who has had great success in technology investments around the globe. “The one thing most people don’t realize is that farming has come a long way, as a practice. If one particularly adopts modern techniques, then farming can be very profitable,” Buch once told this reporter. Buch hopes to start a properly-mechanised farm in Africa. And those whose minds have been opened are already reaping fruits. The former milk-hawking couple of Susan Muturi and Njoroge Muturi, recently announced that they will be setting up a Sh50m ultra-modern dairy facility. But the duo, who own the Tassells Dairy Farm in Ruiru, did not have the millions they are talking about now when the venture started 11 years ago. Njoroge worked as a herdsboy for a farmer in Githunguri, and was later fired after a disagreement with is employer. By the time he was leaving, he had enough money to buy two cows, and was lucky enough that his new landlord,in Kiserian, allowed him to raise them in his compound. His enterprising discipline saw him buy a new cow everytime he had saved enough money, from his salary and milk sales. He met his wife, Susan, while hawking milk in town, and as fate would have it, she was also interested in dairy farming. Through the internet, they managed to adopt proper husbandry techniques, rasing their herd to 400 dairy cows, which yiled 6,000 and 12,000 litres of milk per day. The enterprise is run on a two-acre farm, unlike the Muturis, Caleb Karuga had an enviable job, in the media, which he hoped to move away from. He at one time thought of quiting, but the thought that he would have to forfeit Sh1.5m in benefits saw him hold on. Luckily, he was retrenched, alongside tens others, as the media house he worked for restructured. He went on to lease one acre piece of land in central Kenya and started poultry farming. Today, he operates three farms where he raises thousands of indigenous chicken, quails, guinea fowl. He also grows butternut, strawberry, sweet potatoes and sunflower. Minister Adenisa believes Africa will be at a better place if the youth to see agriculture as a business, noting that, major local and international investors are now investing in agriculture. “The number of seed companies alone has risen dramatically and the banks are lending to the sector more than ever before,” he said. But farming, like every other rewarding career, is not a path plated with diamonds-It is a hard job. Luckily, for those who have a goal, and are willing to put in more than there fair share of tough work, the results soon become evident. 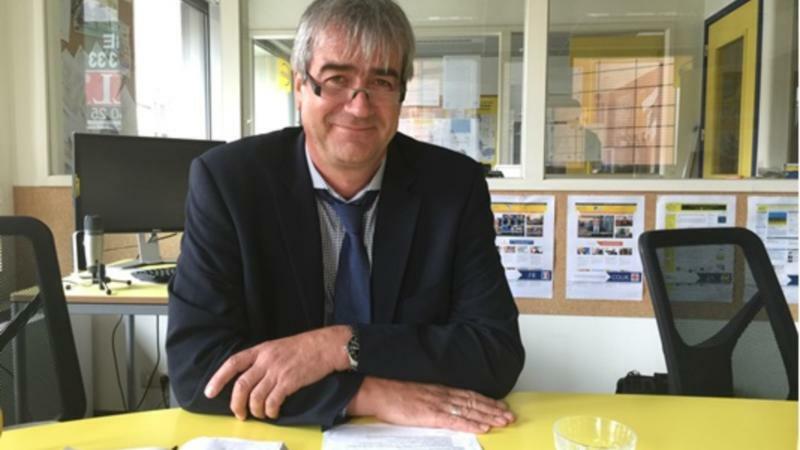 The involvement of the European private sector in the mechanisation of Africa’s agriculture will open up the market and help farmers make quality choices, FAO’s Josef Kienzle said in an interview with EurActiv.com. Josef Kienzle is an agricultural engineer at the PlantProduction and Protection Division of the Food and Agriculture Organisation of the United Nations in Rome. What are the main challenges of Africa’s mechanization? Several unsuccessful efforts were made in the past, what is different now? From the colonial times, it was part of the Ministry of Agriculture’s role to provide services to farmers. African countries continued this, although it was heavily subsided by loans from the World Bank, and the whole process was getting very expensive and inefficient. There were public servants providing services for the mechanization sector. For instance, they stopped working at 17:00 on Friday, and therefore there were no services provided on Saturday morning. These things normally do not happen in the private sector. It became also insufficient because a lot of smallholders never saw these tractors; so tractors did not really work for all. And by the time the World Bank decided to do structural adjustment, basically closing down all these extension programmes, the whole business started shaking and the mechanization services totally collapsed. The donors’ side claimed that the private sector should be responsible for this process, not the public sector. The private sector in these countries or globally was not ready to get in and provide mechanization services. So there was a real gap and farmers went back to the hand-tool level. The use of tractor became quite rare and basically remained in large-scale farms and private companies. Very few stakeholders continue to work with tractors in Africa. In addition, agriculture was not a hot topic; it had been actually a non-topic for a while, until 2006. When the oil prices sparked and at the same time we faced a food crisis with increased commodities’ prices, suddenly smallholders could not afford to buy food, riots took place in Haiti and other places, trade between countries stopped as countries halted the exports and started storing the products, and then everybody realized how sensitive the food surplus was. This is one part of the story. The second part is the ICT story. 10 or 15 years ago, Africa’s rural areas were isolated. One could not be aware of what was really happening in the capital or even in other parts of the world. Now with internet access, everyone can see what’s going on. So, a young person in rural parts of Kenya or Tanzania can visit an Internet café or use a smartphone and see what is possible in life in general. People have now started moving toward the biggest cities and Europe. Yes, but this is a problem at the same time because urban immigration has created huge problems to agriculture’s development. It’s a problem in a sense that cities are not prepared for all these people to come, this is correct. But, around these urban areas there is a huge market for vegetable producers, maybe processing, and storage; so the potential of mechanization around urban areas has been really growing. Through these procedures, feeding the cities will also be possible. And from a mechanisation point of view, the old argument was that mechanization would replace the labor. That it would be the reason for immigration, so there was no support for mechanisation. However, the result is that the young generations have started migrating because of lack of mechanization. They don’t want to use hand-tool methods at work when they know that in other parts of the world this is done by machinery. For how long can muscle power remain as the main source of Africa’s agriculture? What can we do to speed up the mechanisation process? What can the EU do? What we need to do is to enhance the role of private sector entrepreneurship. We should focus on the next generation of potential agriculture entrepreneurs, because in my opinion, a young person in a rural area should be able to make a decision to become a mechanization service provider for a village or for a district. Obviously, young people need support programmes for that, like special credit lines from banks which will be part of a larger programme; maybe development partners could also support with technical assistance. We have to help create an environment in rural areas where entrepreneurship development is possible. What about the agri-food industry that could actually invest in machinery as well? It would be easier for a large-scale machinery company to invest because it is less controversial. It is a public interest to let young farmers and smallholders have access to modern technology in farming. It’s almost against the human rights to work for 12 hours under the sun with your hands in order to get the food you need. With the agri-food industry, one has to deal with chemicals and the risk of pollution, which is not the case for machinery companies as they only offer tools to reduce the use of muscle power, often women and children. It is also a social obligation of private companies to intervene and organizations like the Food and Agriculture Organization of the United Nations (FAO) and the European Union should provide support. An example is AGCO company which recently decided to go to Zambia and create a training center to educate potential entrepreneurs. What I really like about this initiative is the long-term aspect of this project. Typically, projects in Africa usually last much shorter –only about 1,2 or 3 years. Do African governments have an appetite to mechanise the continent? Mechanisation also has a political dimension, which is very difficult to tackle for FAO. The issue of hand-tool farming, which is 70% of Africa’s agriculture, always comes up before the elections. African government should provide the right policies, capacity building means like training centers, education to enable farmers make a decision whether they want to become machinery providers and ensure that tractor supplies and services actually reach the people who need them. FAO has tried to assist in good practices of procurement. Do you expect an African “explosion” due to food insecurity? We have local explosions right now, for example, in South Sudan, but it’s a local conflict. In general, I see many positive developments. In Zambia, Kenya, Tanzania, we can see a tendency toward business-oriented farming, where young people can make a decision to become farmers. Actually, there are banks available when you get certain credit line supported by donors. I don’t see an explosion of the continent. There are certain conflict spots that are critical though. I see young generations of Africans believing in their countries and their development. I don’t agree with the argument that everyone wants to flee Africa. That’s a perception of Europeans. It is a minority that crosses the Mediterranean Sea to reach Europe. What is your next step regarding Africa’s mechanisation? FAO signed an official memorandum of understanding with the European Agricultural Machinery Industry Association (CEMA). They were interested in opening to the rest of the world, and the idea of this was to focus on Africa and new models for promoting agriculture mechanization businesses at all levels, from production, to harvesting, post-harvesting and the issue of market access. In the past, we focused too much on production but not so much on market access. And how will Europeans coexist with their Chinese partners? At the end of the day, I think the quality and durability will help a potential buyer to make a decision. I hope the market itself will be the force that promotes these characteristics. I don’t agree with the term third world countries. All of us are affected by climate change, population growth, pollution, migration, and the internet is accessible to everyone. So there is no third world anymore. We have to treat African countries as equal players, and not as recipients of aid. For most people, the notion of a hero conjures up images of brave individuals risking their lives for others, or “superheroes” from comic books or films, armed with supernatural powers. But what Africa needs, each and every day, are heroes of a different sort – “action heroes” with ideas and vision, ready to respond to challenges that could determine the fate of a continent with a land mass larger than the United States, Western Europe, China and India combined. This is a lot of land, with a lot of potential. Africa’s challenges are well known: A devastating drought is destroying crops in Eastern and Southern Africa. Plummeting oil prices are undermining economic growth in exporting countries, notably Nigeria. Chronic hunger still plagues one third of our people, with deep poverty trapping almost half the families on the continent in dire hardship. There’s an urgent need for employment prospects for the 200 million between the ages of 15 and 24 who make Africa the world’s most youthful continent. Millions of African farmers still lack access to improved crop varieties that boost yields. They need mineral and organic fertilizers that revive soil. They need access to credit to purchase farm inputs. They need better information about market opportunities to justify their investments. While we can get cell phone signals to Maasai livestock herders, most African farmers still struggle to find a bag of quality seeds or a small amount of fertilizer! Where are the African action heroes who can tackle these continental challenges? In a new effort to find them, in April 2016, several organizations joined forces in Accra, Ghana to launch the new $100,000 Africa Food Prize (formerly the Yara Prize). This new Africa-based award will recognize an outstanding individual or institution which is leading efforts to change the reality of farming in Africa – from a struggle to survive, to a business that thrives! We’re looking for bold initiatives and technical innovations that can be replicated with excellence throughout the continent. We know there are African action heroes in our midst, doing extraordinary things in the extraordinary world of agriculture, which I believe holds the key to Africa´s future. We want to hear about them and recognize their work. What do I mean by extraordinary? I mean young people like the Ugandan entrepreneur, Eric Kaduru, who founded an organization to help hundreds of out-of-school girls set up their own commercial fruit farms, or Zimbabwean agricultural expert and animal scientist Dr Lindiwe Majele Sibanda who heads up a policy think tank, working to ensure African agriculture figures prominently on the global agenda. I mean people such as grassroots activists working to help smallholder farmers get access to markets, agri-tech inventors and innovators linking farmers to vital information, and reformers who advocate for better agricultural policies at all levels, from state presidents to village chiefs. Why is agriculture such a critical field of action? To begin with, two-thirds of Africans work in agriculture, the sector responsible for Africa’s food security. On a continent with our rich natural resources and human capital, it makes absolutely no sense for Africans to be importing so much of our food from elsewhere in the world. We should be supplying it to ourselves. This is a massive market and a massive opportunity. The World Bank estimates it will be worth $1 trillion by 2030! If I were going into business today, and looking at the market opportunities for African food producers and Africa’s incredible endowment of natural resources and human capital, I would choose agriculture over telecommunications. This is the goal and the inspiration for the Africa Food Prize: When our action heroes complete their missions, every African consumer will enjoy better access to affordable, nutritious food — grown and supplied by African farmers and African food companies. This means new job opportunities and higher incomes for rural Africa. This in turn will fuel wider economic expansion, benefiting everyone, but especially the poor. This is something boom-bust oil economies just can’t deliver. Past winners like Kaduru and Sibanda are the kind of heroes Africa needs today. There are so many others. For example, last year African leaders selected Akinwumi Adesina, a 2007 Yara prize winner, to be president of the African Development Bank. A champion for “impact at scale” across Africa, Adesina served as Nigeria´s Minister of Agriculture and Rural Development where, among many reforms, he introduced pioneering technology to help curb corruption and improve access to inputs for rural farmers, and especially women. A couple of years ago, a few young entrepreneurs in Nigeria launched a new series of comic books books featuring something novel: African superheroes. It’s my hope that one day soon, we will be telling the real-life stories of the “action heroes” of the Africa Food Prize, and how their amazing feats helped conquer the evils of hunger, climate change, poverty and unemployment. Organic farms, although not necessarily always quite as health-friendly as advertised, harbor approximately 34% more diversity of species than conventional farming, according to a recent study by Oxford University. They are actually even more important than that: according to the U.N (report here, summary here) small organic farms are actually the key to solving hunger problems worldwide. The reasons that small organic farms are so important is many fold. The main reason is that by allowing more species, by not killing symbiotic bacteria in the soil and insects (like ants), you increase per plant yield while also helping maintain ecological stability (helping prevent collapse). These are the same reasons polyculture system are beneficial: extreme factors (like temperature or storms) do not suddenly “tip” the entire ecosystem, the plants are not all competing for the same resources, and more mutualist species can be supported. Inversely, all this is reversed in conventional monocultures. With this in mind, many suggest a “mixed” system, using our knowledge of ecology to maximize yield while reducing ecological costs. There may even be room for genetic engineering within the future of sustainable farming. We know is that chemical monoculture is bad for ecosystems, but mixing and matching other variables will lead us to the best methods. Organic permaculture is more than just meaningful, more than just able to increase yield: it is able to solve hunger problems effectively, locally, with fewer or no chemicals, and in a way that promotes ecological stability instead of exploitation until collapse. Even though new species are being discovered every day, one in five plants are threatened with extinction, according to the first annual State of the world’s plants, 2016 published by Royal Botanic Gardens, Kew in May 2016. Somewhat unsurprisingly, the largest threats facing these endangered plant species are the conversion of land for agriculture and biological resource use – the deliberate or unintentional consumption of a ‘wild’ species. Indeed, agriculture has been identified as the main threat to 85% of all threatened species, plant and animal, on the International Union for Conservation of Nature (IUCN) Red List. For example, the growth of palm oil plantations has led to significant losses of natural forests and peatlands, with accompanying impacts on biodiversity. Genetic diversity in agricultural systems may be lost if species go extinct or different varieties of a species fall out of favour. If this happens, genes that are important for resistance to pests or diseases, confer tolerance to changing weather patterns and extreme weather events, or make the crop nutritious, may be lost. Even if these traits are not evident or useful now, the advantage they confer may be valuable for future generations, and may be difficult or impossible to recreate once they are gone. Indeed, work by Bioversity International highlights how the wild relatives of cultivated crops are already becoming increasingly important in the search for traits that farmers can use to improve domesticated varieties through crossbreeding. Using a wide selection of different species, for example in a crop rotation, can also protect the health of our soils. Each type of plant uses and adds a different mixture of minerals and organic matter to the soil, so using a variety allows soil structure and integrity to be maintained and even improved. As the Montpellier Panel argued in its 2014 report No Ordinary Matter healthy soil brings a multitude of benefits, including greater resilience to extreme weather, better yields, and greater food security. Sometimes people focus on the crop and forget how much impact the ecosystem it lives in can have. It can be tricky to spot until it’s gone, but the smallest insect or bacteria can have a huge impact on an agro-ecosystem. One example, known as integrated pest management (IPM) is when the natural predator of a pest can help to keep the pest at bay. Farmers can use IPM to their advantage to reduce reliance on pesticides, but the system requires healthy levels of natural biodiversity to ensure there is a pest-predator balance. In Indonesia, for example, IPM is commonly used in rice paddies by the introduction of fish that eat insect pests. Between the introduction of IPM in 1986 and 2001, pesticide use on rice fell by 75% while yields increased by 25%. Because different agro-ecosystems will have different pests and predators, which may change over time, IPM is best employed by experimenting locally, using local natural biodiversity, and being flexible to adapt when conditions vary. There are about 7000 edible plant species in the world, but a staggering 75% of all food comes from just 12 plant and five animal species. According to the World Health Organisation, a good diet is diverse and balanced and includes a variety of fruits, vegetables, legumes, nuts and grains. The heavy reliance on a narrow selection of common crops means that it can be difficult to ensure that an appropriately wide range of nutrients are consumed, so introducing alternatives in each food group could help to combat this. For example, millet varieties account for less than 1% of all grain produced for food but are rich in micronutrients such as B vitamins, calcium, iron, and zinc, as well as similar protein levels to wheat and inferring greater resilience to drought and heat than wheat. There is much that can, and is, being done. Agriculture is undoubtedly a major driver of declining biodiversity, but it can also be part of the solution. For example, the use of sustainable agricultural and land management practices has the potential to contribute to the conservation of genetic diversity and sustainable use of biological resources. The urgent need to address this issue is recognised in the Convention on Biological Diversity, and frameworks are under construction to do so, for example under the Sustainable Development Goals (SDGs), particularly under SDG#14 and SDG#15. Let’s hope that these efforts are implemented swiftly to safeguard plenty of biodiversity for the future, because it is amongst the most precious of natural resources that we have. Zambia has become the first country in the world to create a smart farming training centre. The AGCO-Zambia Agriculture Training Centre launched this week will fast-track the country’s agricultural sector into the 21st century- as it moves away from its dependence on copper. Farmers will be taught how to use high technology farming machines at the new centre – which will enable them to produce more crops. Maxus Ng’onga is the Deputy Agriculture Minister of Zambia. He says the new centre will revolutionise not only its country’s agricultural sector, but also empower women, youth and small scale farmers across Sub Saharan Africa. The Agriculture sector employs 65 % of Sub Saharan Africa’s labour force and accounts for 32 % of gross domestic product. The sector has gained pace over the last few years but African farm yields are amongst the lowest in the world. Smart farming or mechanisation remains a somewhat neglected element of agriculture. “The average productivity of our maize crop in the country from conventional farming is just around 1.2 tonnes per hectare. While under mechanised productivity is around 8.5 tonnes per hectare, obviously demonstrating the importance of mechanisation enhancing in both productivity and production.” Ng’onga added. Zambia says it is moving away from its dependence on copper as commodity prices continue to tumble. The new training centre was built at a cost of 15 million dollars. AGCO says it plans to build similar centres across the continent. mechanically powered mechanisation, such as in tractors, pumps and post-harvest processing equipment. This April, IKEA is introducing an indoor gardening series that lets consumers grow their own lettuce and herbs on water. Developed in collaboration with agricultural scientists in Sweden, the Krydda/Växer series includes everything needed to start sprouting a garden and keeping it growing. IKEA already had a basic nursery and products to grow vegetables outside on offer. The starter kit for this new indoor growing system contains everything needed to grow herbs and lettuce year-round. The indoor garden system comes with absorbent starter plugs, seeds, and pumice stones. “The challenge was to make growing plants in a hydroponic system simple, so that anyone could succeed,” says Helena Karlén of the Swedish university of agricultural sciences, who was involved in development of the product. The collection has a two- and three-layer cultivation system as well, also with illumination. Prices for the new products aren’t known yet, but the name has been revealed. In true IKEA fashion, the product gets a Swedish name: Krydda/Växer, which roughly translates to Herb/Grow. Watch the video below for IKEA’s explanation of the concept and judge for yourself.